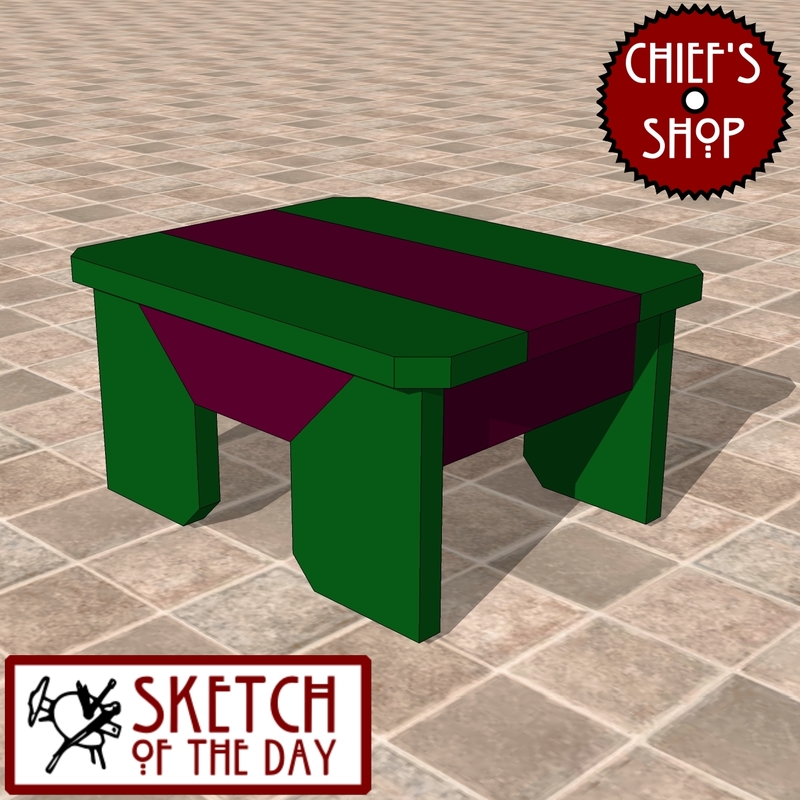 The Chief’s Shop Plank Chair makes a nice rustic accent chair. Assembly requires a Kreg Pocket Hole Jig. Lumber required includes 2x4s, a 2×6 and a 2×10. Overall dimensions: 26-1/2 inches wide x 28-1/16 inches deep x 46-5/16 inches high. You’ll need a table saw, miter saw, jig saw, drill driver and Kreg Jig to build it. 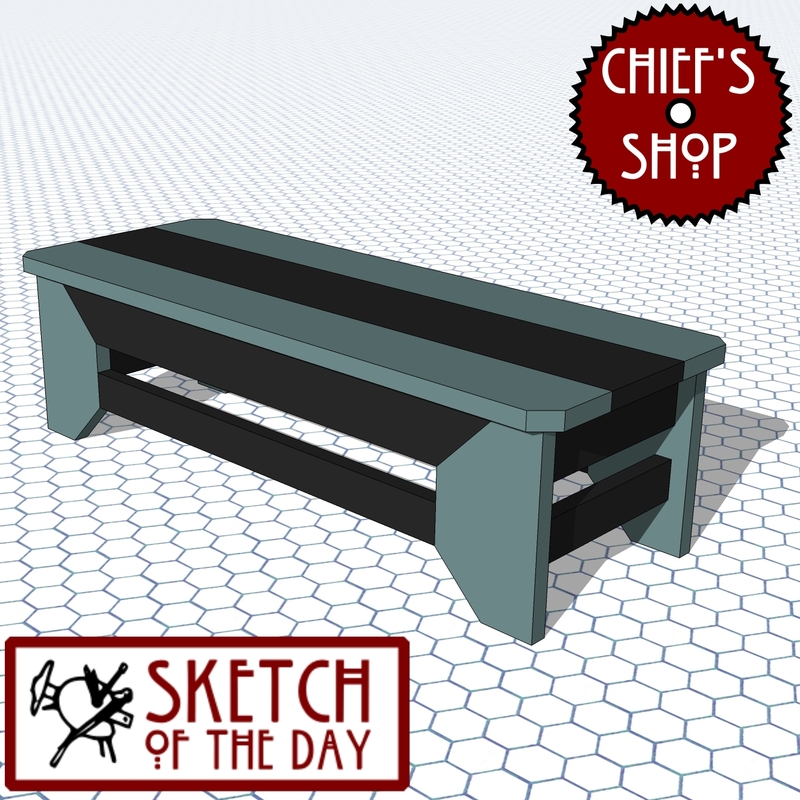 This bench concept is designed with all 2x material. The angle where the long rails and legs meet is set at 45 degrees. A stool concept using design elements from yesterday’s modern accent bench. 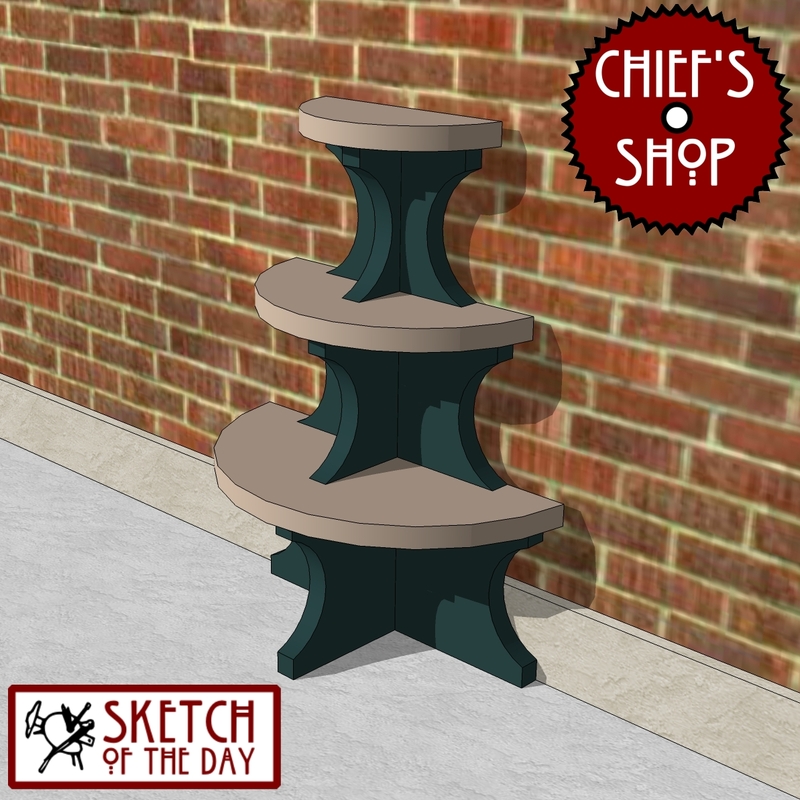 A plant stand concept very similar in design to a plan I created for Lowe’s several years ago. 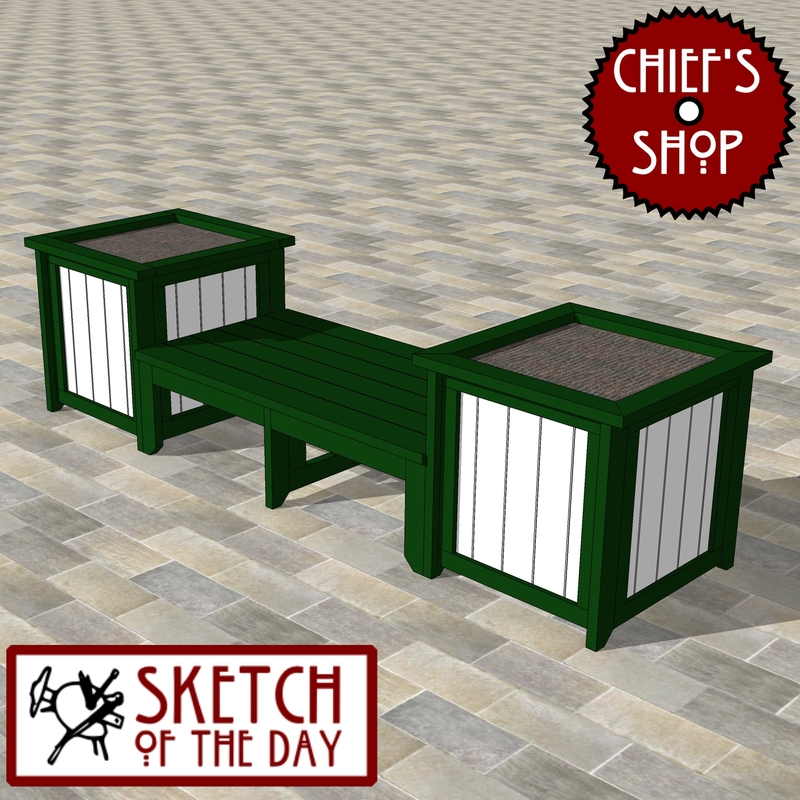 A bench and planter combo design concept. 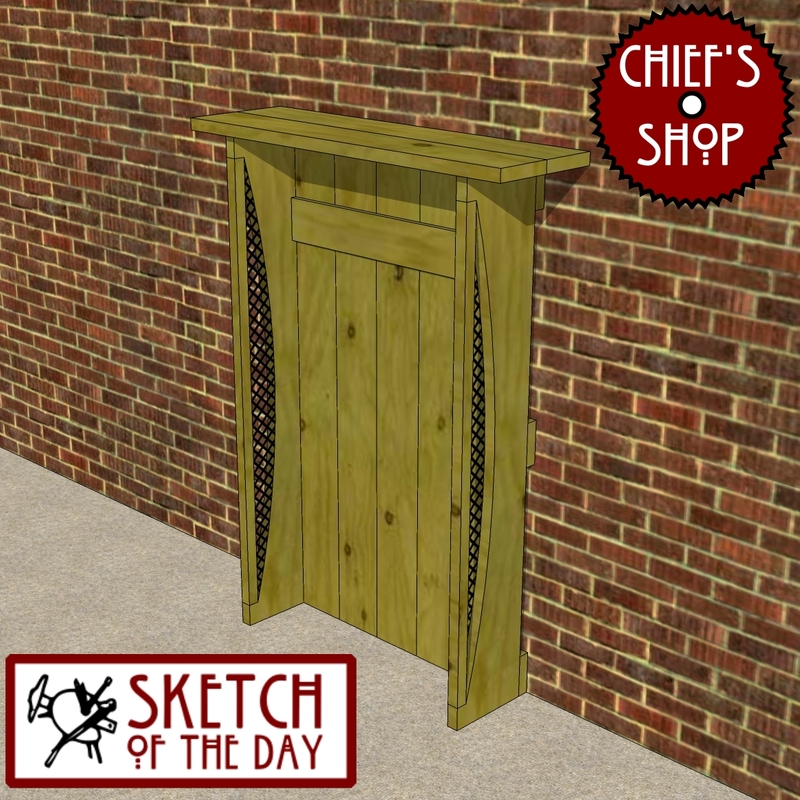 A garden tool shelter design concept.